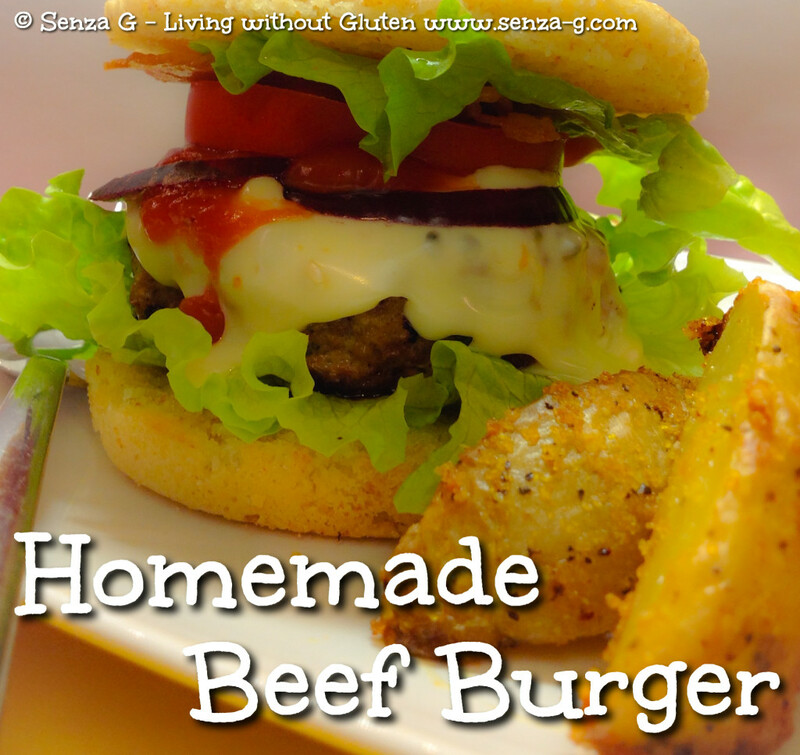 Home » Food » REAL HOME MADE BEEF BURGERS! REAL HOME MADE BEEF BURGERS! Home made is always the best isn’t it? That way you know what is inside your burger. These came out simply delicious … and that compliment came from a true American … who came from the land of burgers ! Place the minced beef in a large bowl and add the onion, garlic, breadcrumbs, mustard, balsamic vinegar, honey, Worcestershire Sauce and parsley, mixing well with your hands. Add the beaten egg and water. Combine everything well. Form four thick patties, either by hand or if you have with a burger press. Place on a lined baking sheet and put in the fridge for at least an hour so the burgers will set. If meat was not frozen beforehand but bought fresh, you can separate the burgers with waxed paper circles and freeze. Place patties on a lightly greased grill pan, cover and cook over medium heat for about 10 minutes, turning once until they are done. Serve the burgers in your favorite gluten free burger buns with lettuce, tomatoes, cheese and crispy bacon!